Whether these 15 players are facing contract years, injury concerns, a growing crowd of skeptics or all three at once, 2015 marks a now-or-never turning point. Patience is not a virtue the NFL possesses in abundant supply. From rookies to high-priced veterans and everyone in between, the window for a player to prove he belongs does not stay open for long. Sam Bradford, QB, Eagles: No pressure, Sam, but the fate of the 2015 Eagles and possibly that of Chip Kelly as an NFL coach and personnel man rest on your shoulders. Or is it on your knees? As part of the Great Chip Kelly Rebuild™, Philadelphia acquired Bradford in a trade with the Rams, fully expecting the former No. 1 pick to push its offense to the next level. Talent-wise, Bradford may be capable of doing so. Unfortunately, his history of injuries—including his latest torn ACL, which cost him the entire 2014 season—makes it tough to know which Bradford will show up. Bradford also has the little business of his next contract to hold his attention. Recent reports had the Eagles and their new QB working on a short-term extension, although nothing has yet been finalized. Two seasons ago, the NFL got a glimpse of how Kelly's offense can help a quarterback when Nick Foles threw 27 touchdown passes to just two interceptions. Last season, the combination of Foles and Mark Sanchez showed why Kelly needed a better option to make his system work. Bradford could be the guy, and he has to be if the Eagles are to contend in the NFC East. Doug Martin, RB, Buccaneers: Martin made the Pro Bowl as a rookie back in 2012, thanks to a brilliant 1,926-total yard, 16-touchdown season. He has 1,080 yards and three touchdowns combined in the two seasons since. A shoulder injury limited Martin to just six games in 2013, and he was banged up throughout much of the '14 campaign, too. Now, with free agency approaching, Martin is penciled in again as the Buccaneers' starting back. He reportedly has shed some weight—around 15 pounds or so, down to 210. Will the change help? Tampa Bay declined the fifth-year option on Martin's rookie contract, meaning he could hit the open market come next March. Teams are extremely wary of committing to veteran running backs as it is, so another injury-plagued season would limit Martin's appeal. ​Tavon Austin, WR, Rams and Cordarrelle Patterson, WR, Vikings: Two players taken 21 picks apart at the 2013 draft (Austin No. 8 and Patterson No. 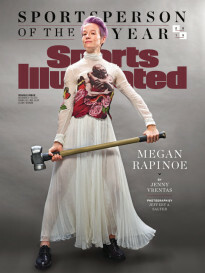 29), who as of yet have not come close to meeting the hype. Austin was close to a non-entity in the St. Louis offense last season, catching just 31 passes for 242 yards. Patterson did not fare much better: 33 receptions, 384 yards and one touchdown. Both actually have been far more effective as return men than receivers. That's especially true for Patterson, who was a 2013 Pro Bowler and All-Pro after leading the NFL with a 32.4 yards-per-kick-return average. Is either player capable of more? 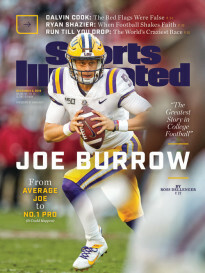 Austin appears to be in better position right now—coach Jeff Fisher recently told SI's Don Banks that he expects Austin's production to increase and that Foles could be key to force-feeding Austin the ball. Austin and Patterson are running out of chances with their current teams. Cary Williams, CB, Seahawks: In order to pay the likes of Marshawn Lynch, Earl Thomas, Bobby Wagner, Russell Wilson and Richard Sherman, Seattle has had to let a few complementary pieces walk. Cornerback Brandon Browner was one such case, following the 2013 season, and Byron Maxwell signed a lucrative deal with Philadelphia this past off-season. Swapping locales with Maxwell was Williams, a 6'1" corner coming off a miserable season as an Eagle. His contract (three years, $18 million) is less a concern for Seattle than his ability to get the job done. If he or Tharold Simon (currently sidelined by off-season shoulder surgery) cannot thrive opposite Richard Sherman, the Seahawks' secondary could lose some of its mystique. DJ Fluker, OT, Chargers: The 2014 season was a struggle for Fluker, who allowed more sacks (seven) and more hurries (36) than any other Chargers offensive lineman. If his pass protection continues to falter, Fluker could be ticketed for a move inside with ex-Bronco Orlando Franklin kicking out to tackle. On paper, San Diego's offense looks quite formidable, with Franklin and rookie running back Melvin Gordon among the additions to what already was a solid unit. Fluker is one of the few question marks headed into 2015. The Steelers want him to rejoin the starting lineup this season, but they've also made alternate plans. They used a second-round pick on CB Senquez Golson (his 2015 status is in doubt due to a shoulder injury), then recently traded for ex-Eagles corner Brandon Boykin. The latter has done his best work in the slot, but he is an option to move outside if Allen flops again. Michael Crabtree, WR, Raiders: Believe it or not, Crabtree is still just 27 years old. There may be something left in the tank after all, even if it did not look that way last season. Three years ago, Crabtree was an 1,100-yard receiver, but a torn Achilles prior to the 2013 season changed the situation. He returned for five games that season and played a full slate last year but was sluggish, at best. Oakland believes he can regain some of his old form—for now, Crabtree is slotted in as a starter alongside rookie Amari Cooper. Crabtree's contract, however, is of the prove-it variety: one year, $3 million. Jason Pierre-Paul, DE, Giants: One of the oddest situations in recent NFL history. Pierre-Paul wanted a long-term extension from the Giants, received the franchise tag instead, then blew off one of his fingers in a Fourth of July fireworks accident. Only this week did he finally speak with coach Tom Coughlin again, ending a one-sided standoff. Who knows when Pierre-Paul might be ready to return to the field? When he does, he'll still be subject to the franchise tag, which would mean a nice payday this season ($14.8 million) but free agency next off-season. If Pierre-Paul has any hope of scoring that lucrative, multi-year deal, he's going to need to silence a bevy of doubts. ​Jairus Byrd, S, Saints: Byrd was the Saints' big score last off-season, signing a six-year, $54 million deal to join a defense that believed it was set up for big things. He played four games before being shut down, and the Saints posted a 1–3 mark in those outings, allowing an average of 27.5 points. Bigger things are expected in Year Two, but Byrd opened training camp on the PUP list as he eased back from last season's knee injury, with no firm return date in sight. Should Byrd's 2015 season unfold in similar fashion to '14, he would enter the conversation as one of the most disappointing free-agent signings ever. Matt Kalil, OT, Vikings: Minnesota's former first-rounder underwent surgery on both knees this off-season and added upwards of 15 pounds, all in hopes of rebounding from his train wreck 2014 season. Kalil committed more penalties (12) and allowed more sacks (12) and QB hurries (36) than any other Viking, by far. This is a team with playoff aspirations, so should Kalil falter again early, a change at left tackle—perhaps in the form of rookie T.J. Clemmings—would not be far off. 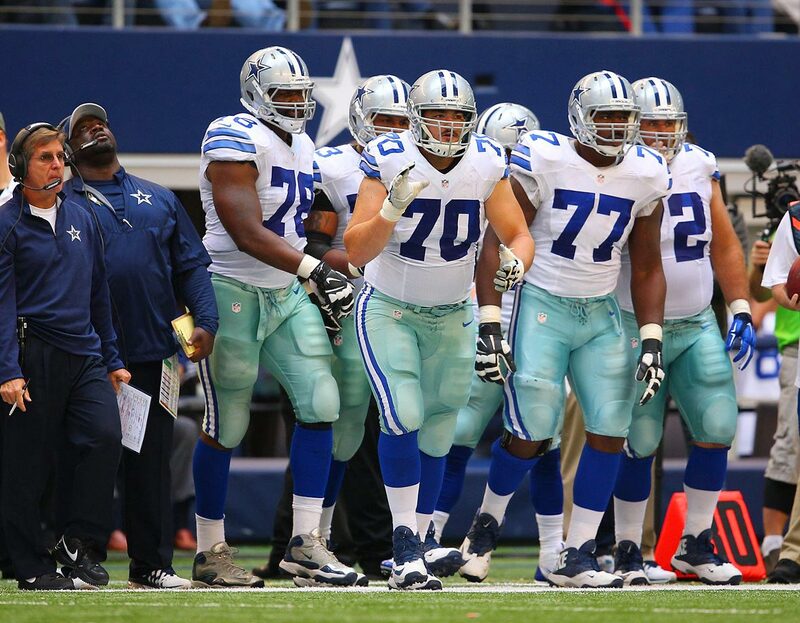 The Cowboys had what was unquestionably the league's best run-blocking line in 2014, scoring high in all of Football Outsiders's efficiency metrics: line yards, short-yardage and second-level performance. The addition of the undrafted La'el Collins from LSU to a nucleus of Tyron Smith, Travis Frederick, Zack Martin, Ronald Leary and Doug Free should propel this line to a new level. It's tough to imagine an injury-free scenario in which the Cowboys don't continue to have the league's best line in 2015 and into the future. The rock star here is guard Marshal Yanda, who is the best at his position if Green Bay's Josh Sitton isn't. 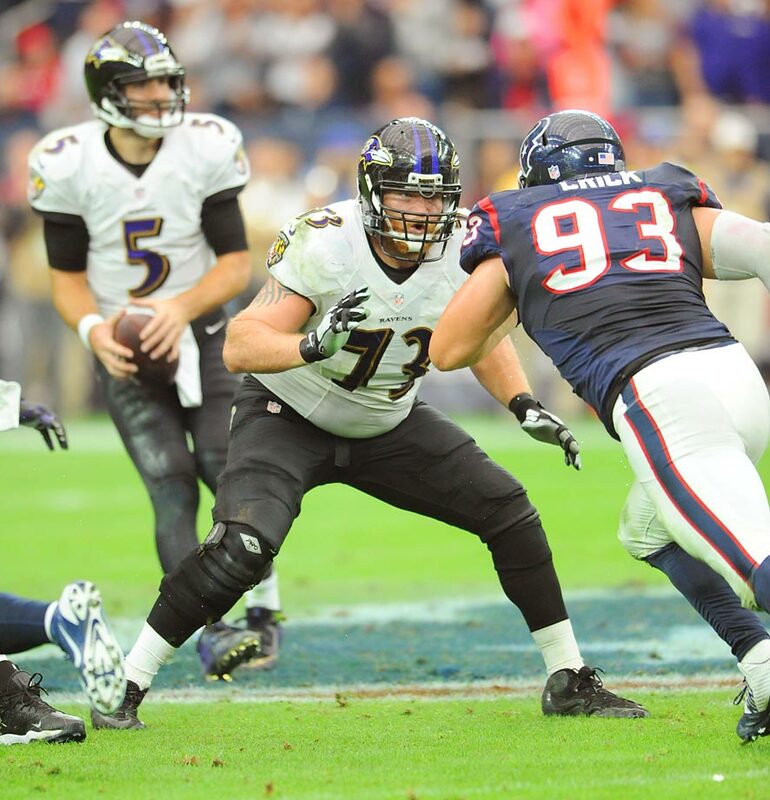 Right tackle Ricky Wagner was one of the league's most underrated linemen in 2014, and the group is rounded out by Eugene Monroe, Jeremy Zuttah and Kelechi Osemele. 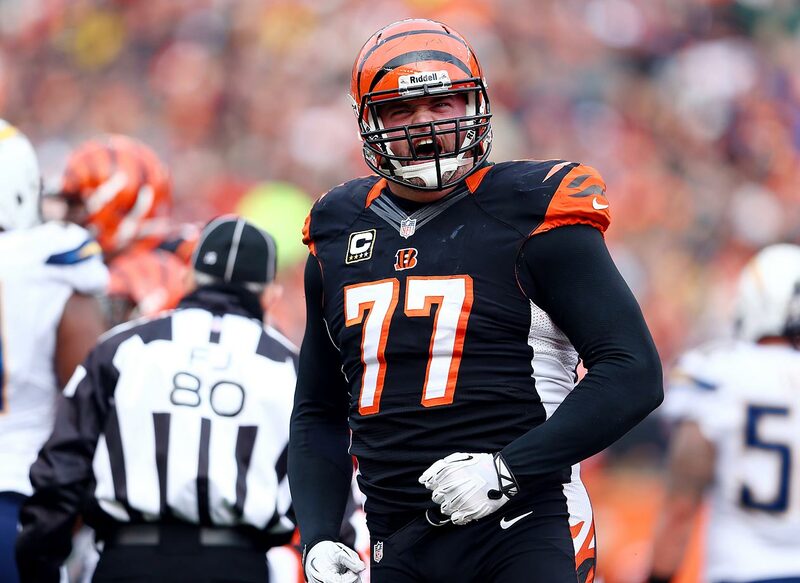 Wherever you put Andrew Whitworth (pictured), the guy just gets it done. The 33-year-old 10-year veteran has logged time at tackle and guard and can play both positions with equal aplomb. Right guard Kevin Zeitler is a physically dominant player who could eventually become the linchpin of the unit if he can stay healthy. Center Russell Bodine and left guard Clint Boling are coming along nicely. If you were to poll defensive linemen on who the best guard in the NFL is, Green Bay's Josh Sitton would win going away. In 2014, he played next to fifth-round rookie Corey Linsley, who surprised a lot of people by grabbing that starting spot right away. Right guard T.J. Lang has overcome technical issues to round out the best interior offensive line Aaron Rodgers has ever enjoyed. 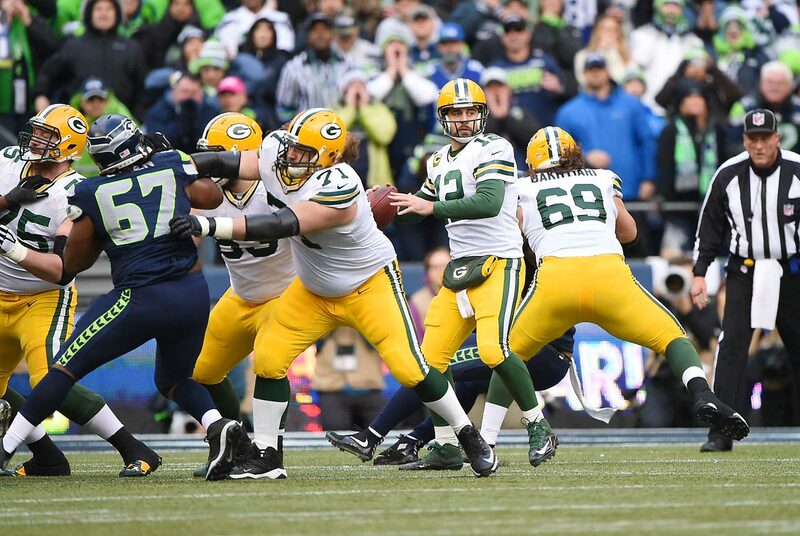 With David Bakhtiari and Bryan Bulaga guarding the edges, Green Bay's high-tech passing offense is in very good hands. If there are better left sides in the league than Cleveland's, it’s a very short list. Left tackle Joe Thomas (pictured) continues on a Hall of Fame track. 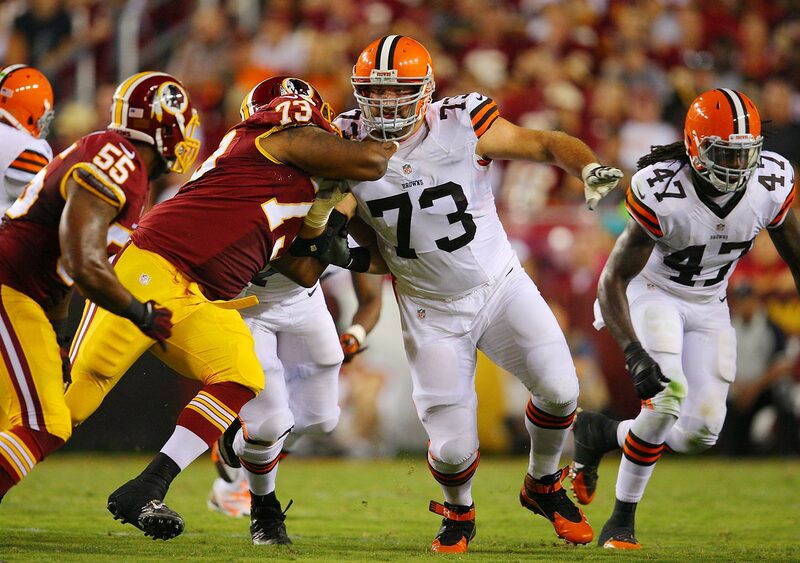 Rookie left guard Joel Bitonio gave up just one sack in 2014—in Week 16. And then, there's center Alex Mack, one of the best in the business. The challenge will be to improve the right side. 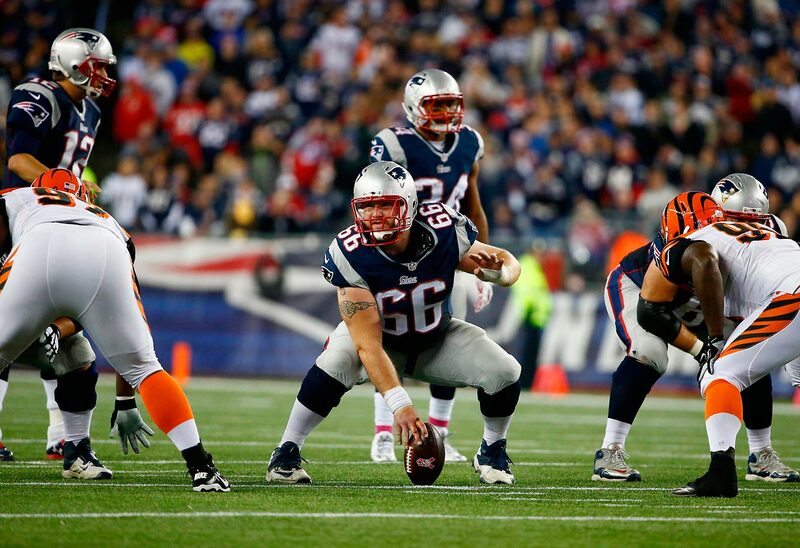 Bryan Stork (pictured) has the center position sewn up. 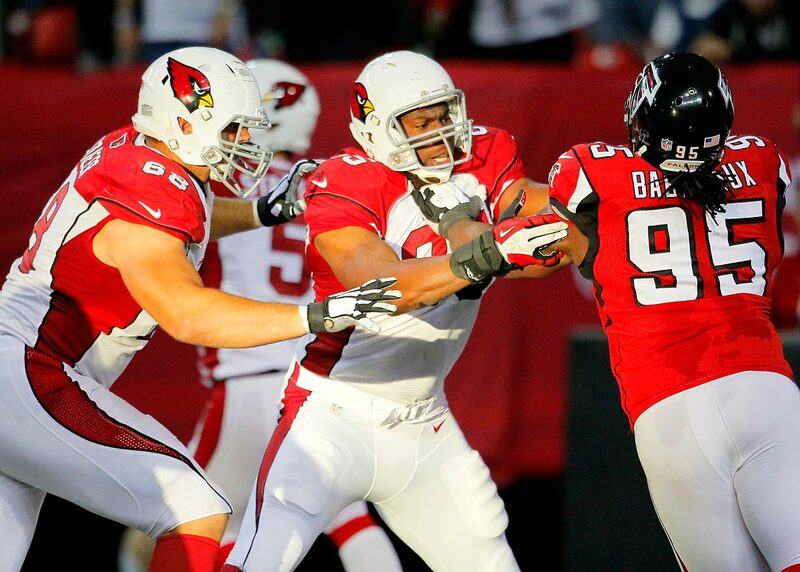 It's up to Ryan Wendell to make the right guard spot his. Left tackle Nate Solder and right tackle Sebastian Vollmer have overcome early technical issues to become a formidable outside protection duo. Meanwhile, coach Bill Belichick expressed a clear desire to get younger and stronger along his line, selecting guards Tre Jackson (Florida State) and Shaq Mason (Georgia Tech) in the fourth round this spring. Pittsburgh's line, a liability for years, became a strength in 2014. 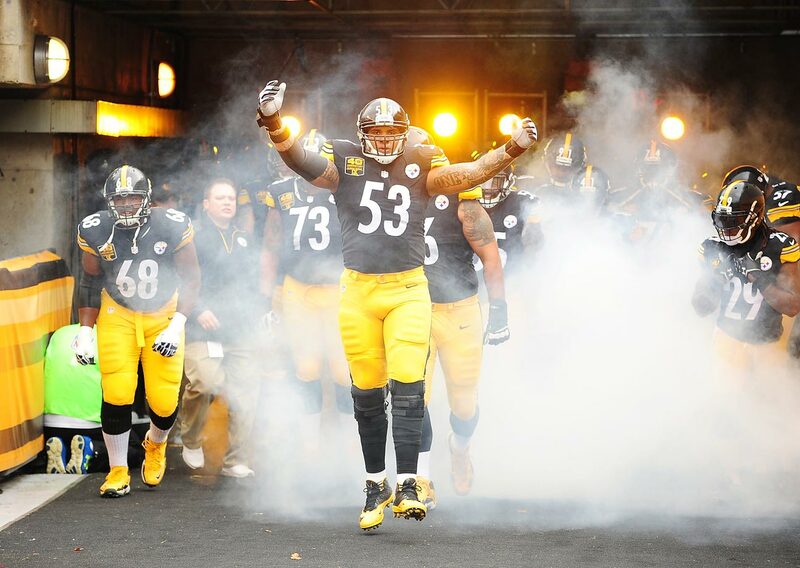 It starts with right guard David DeCastro and center Maurkice Pouncey (pictured), as powerful and as skilled a duo as you'll find. Left tackle Kelvin Beachum allowed a team-high seven sacks in 2014, but none after Week 10. Right tackle Marcus Gilbert and left guard Ramon Foster have room to improve, and if they do, Pittsburgh might just have the NFL's most dangerous offense in 2015. 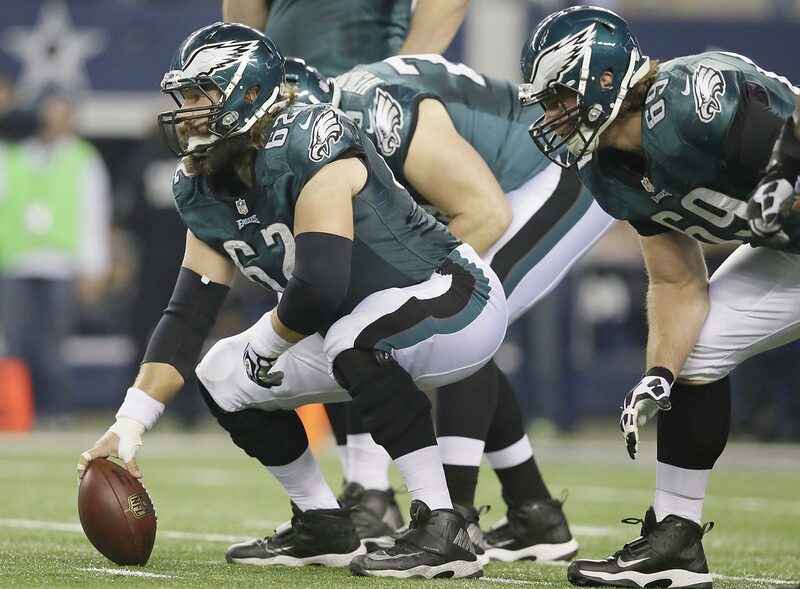 This line will continue to rest on the excellence of left tackle Jason Peters and center Jason Kelce (pictured). Worth watching: Peters gave up one sack in each of the last three games of the 2014 season. Once a sieve all along the line, the Cardinals have made serious investments to the front five in recent years, and it's paying off. Left tackle Jared Veldheer (pictured) got a five-year, $35 million deal in free agency before the 2014 season and allowed just one sack in 1,089 offensive snaps. This off-season, the big investment was former 49ers left guard Mike Iupati, who will bring a very nasty demeanor to Arizona's run game. 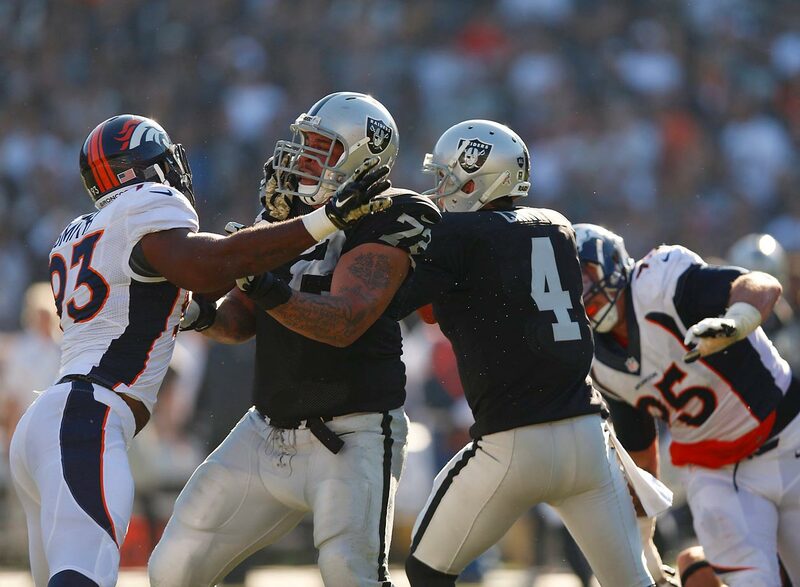 Left tackle Donald Penn (pictured) responded to a sub-par 2013 season in Tampa Bay by working like a fiend in the off-season, and dropping his sack total from 12 to four. This spring, the Raiders made another serious commitment to that line by signing former Chiefs center Rodney Hudson to a five-year, $44.5 million contract. Right now, Khalif Barnes has the right guard spot, Gabe Jackson is at right guard and Austin Howard is penciled in at right tackle. Alex Smith, QB, Chiefs: The Chiefs want Smith to be more aggressive in stretching the field this season. Good luck. Of his 464 pass attempts last season, just 24 traveled farther than 20 yards downfield. Kansas City did sign Jeremy Maclin, who definitely brings with him some big-play abilities. Maclin caught 10 touchdown passes last season, which is 10 more than the Chiefs' wide receivers combined. Smith is signed through 2018 on a $76 million deal, but he's also 31 and headed into his third season as the Kansas City starter. If it doesn't click this season for a team that believes it should be in the playoffs, how much longer can this franchise stick with him? ​Arthur Jones, DL, Colts: May as well expand this out to include the Colts' entire defensive line. When last we saw that group, it was on the receiving end of yet another pummeling at New England's hands: a 45–7 AFC title game loss in which the Patriots rushed for 177 yards. In the teams' regular-season meeting, the famous Jonas Gray game, New England churned out 246 yards on the ground. Jones is in the second year of a five-year, $33 million contract. He did not earn that money in his first season, playing nine mostly ineffective regular-season games. A Jones-Josh Chapman-Kendall Langford line must be better in 2015 if the Colts are to reach the Super Bowl. Jadeveon Clowney, OLB, Texans: Last year's No. 1 pick will attempt to redeem himself after a lost rookie season. Step one simply is getting back on the field. Clowney opened camp on the PUP list due to off-season microfracture knee surgery; the Texans are hopeful he can return sometime between their first and second preseason game. Houston still needs a pass rusher to accompany J.J. Watt's menacing presence. Joique Bell, RB, Lions: Bell easily led the team in rushing last season, with 860 yards, and Detroit further bulked up its offensive line by drafting Laken Tomlinson in round 1. So, why is Bell's role in question? Look no further than the arrival of rookie running back Ameer Abdullah, a three-down threat who has taken advantage of Bell's camp absence due to Achilles and knee issues. The Lions also have the versatile Theo Riddick, who sat atop the depth chart released Monday. Bell has been reliable for Detroit, but little else—he averaged 3.9 yards per carry in 2013 and again last season. The starting job is his to lose, but unlike last season, there actually are challengers to the throne.